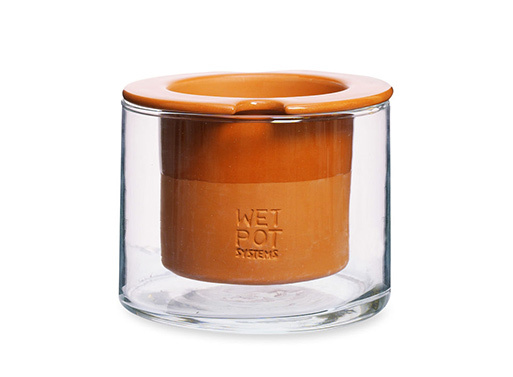 There’s several self-watering pots out there in the marketplace, but this group by Nils Plöjel is delightfully straightforward. 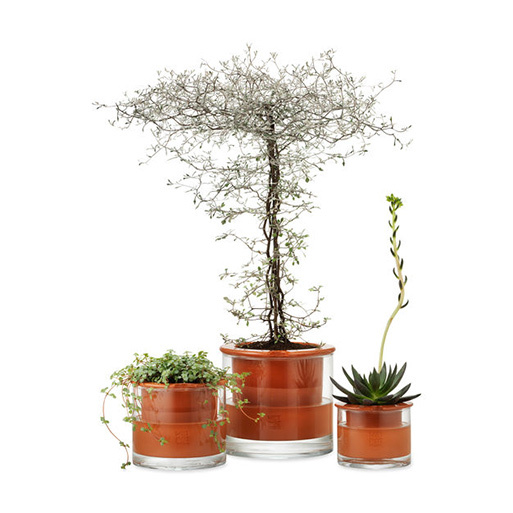 Each terracotta planter sits inside a reservoir of hand-blown glass. Fill the glass with water and let your plants absorb just what they need, simple as that. Available from MoMA Store, $34.00 - 74.00.